Porland Thorns and Orlando Pride meet this Sunday in their season opener at Orlando City Stadium. Both teams look to start the season with right foot, knowing how important is to secure points early. "Unfinished bussiness" was the motto the Portland Thorns FC lived by two years ago after they lost to the Western New York Flash, now called North Carolina Courage, in the Championship final. Last season the Thorns got to play the playoffs final again, against the same opponent but with a different result. The Courage won with a convincing 3-0 and took home the silverware. In the case of Orlando Pride, they fell short last year to get a spot in the fight for the championship after a disappointing season where the team didn't seem to click at any given point. So, although none of the teams are talking about unfinished business, they certainly will want to get the monkey off their backs in this difficult and uncertain World Cup year. With a roster almost intact and just a vey few moves in the off season, Mark Parsons is in the quest to solidify this team and improve the defense so it can be what it was back in 2016 and 2017 or better. In the case of the Pride they're under a new head coach, Marc Skinner, and he'll surely want to take the Pride to the playoffs after they missed them last year and struggled to perform well, as a unit, despite having such a talented roster. And this season-opening match is the perfect opportunity for Skinner to prove what his team is able to do. Let's remember the Thorns have always founded difficult to start the season with all the engines on. And speaking of that, this year Portland has another challenge. Since Providence Park is still under construction, the team will have to play six straight games on the road, starting with Orlando Pride and finishing with Sky Blue, in New Jersey. Emily Menges is injured again, just like in the 2018 start of the season. Injuries have been the norm for the Thorns lately but the good thing is the team found a way to worked it out despite them and even get important results. The other two player in the injury list are Bella Bixby, with a hand injury (although she will travel with the team) and Midge Purce is listed as questionable. Adrianna Franch will likely miss the match since she suffered a minor knee injury during camp at the end of march. But Thorns fans need not to worry that much since Britt Eckerstrom has been looking great during pre season on goal and also her playing in the W-League has shown how reliable she can be. At least Kat Reynolds is back on her feet and well to be part of the defence, the same one that got a reputation of hard to break in 2016. 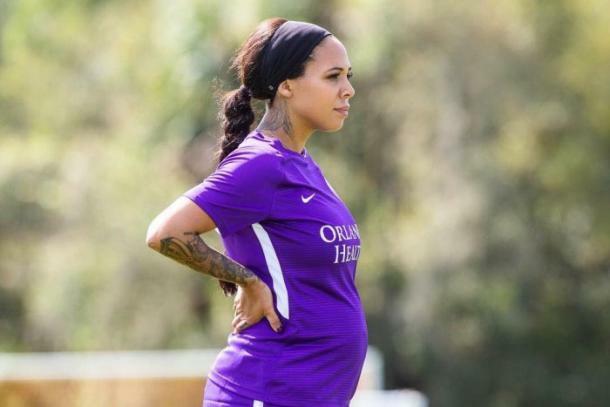 In the case of Orlando, the most notorious absence will be Sydney Leroux, who's pregnant. The match will be a good test for both teams so early in the season with Alex Morgan on fire after scoring her 100th goal, with Chioma Obogagu with a renovated confidence after being called by Phil Neville to suit up for the Lionessess and Rachel Hill, who had another outstanding season in the Australian W-League. And let's not forget the skipper Marta. It's going to be a good season for all the subs and the new faces, the perfect opportunity, to obtain minutes during the World Cup and show what they can do, to prove why they deserve to stay in both clubs. This match marks the third time the Thorns and the Pride face each other on the opening season match in four years and the numbers are in favor of Portland. Can Orlando win in its first match of the season, at home for the first time in three years? We'll see. 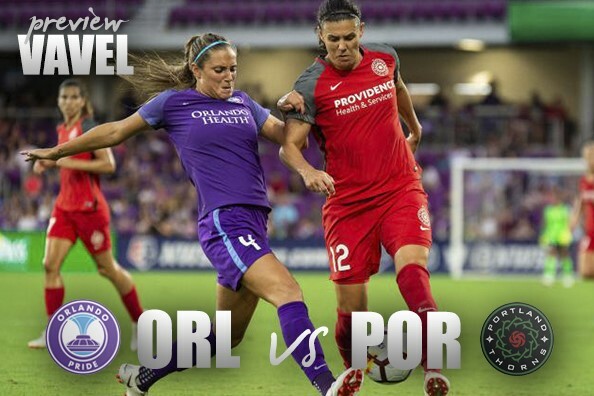 The Orlando Pride host Portland Thorns FC on Sunday, April 14. Kick off is at 5 PM Eastern Time at Orlando City Stadium and will be broadcasted on Yahoo Sports.